The city of Piraeus serves as the leading port of Greece since antiquity and is among the largest passenger ports across the world. 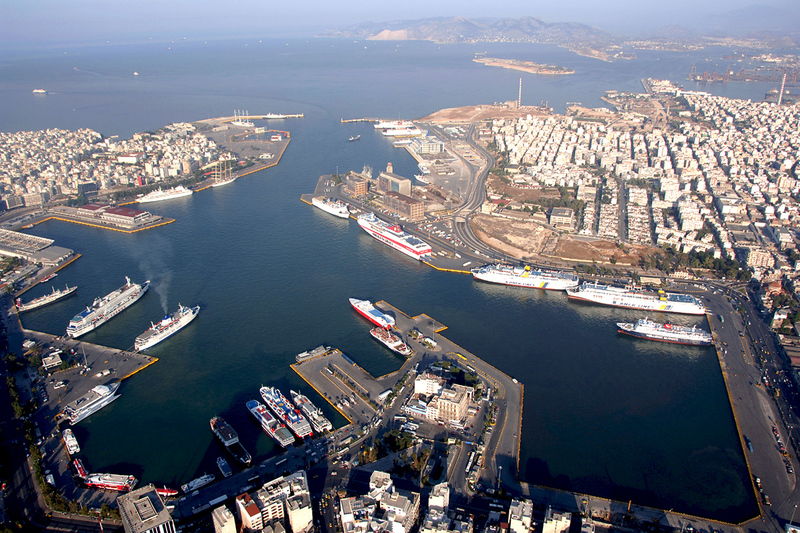 The port is a leading hub for merchant marine and transportation, being the chief exit point by sea from the city to all of the Aegean Islands, while cruise ships to reach Greece, include Piraeus to their stopovers lists. Other than the busy commercial activity of the area, Piraeus features scenic harbours such as Zea Marina and Akti Moutsopoulou, the latter to house a marvellous Maritime Museum, both ideal spots for lovely strolls next to the myriad of sailing boats and yachts. Mikrolimano and Kastela are some of the most picturesque neighbourhoods in the Attica Riviera with large neoclassic mansions to reflect the wealth of the locals from their merchandising activity through the years. The Saronic Gulf contains a cluster of small islands that can be easily reached by hydrofoil from the port of Piraeus. They are considered by many to be ideal one-day-cruise destinations, although longer-stay vacationers also frequent them. Steeped in history, the Saronic Gulf Islands share many common features such as beautiful beaches, picturesque coastline villages, winding cobblestone streets, romantic sunsets and exciting nightlife; however, each one of them has managed to maintain its own special charm and character. Hydra, located at 35 nautical miles from the port of Piraeus, clings to its own tranquillity and slow pace, the only place in Greece where all types of vehicles are banned. In prehistoric times, the island was inhabited by shepherds who found there abundant grass and water for their flocks, before a great fire destroyed its forests and turn it into barren land. The island’s main Town, Hydra features over 200 years old, well preserved, stately mansions, giving testimony to its rich and glamorous past and present. 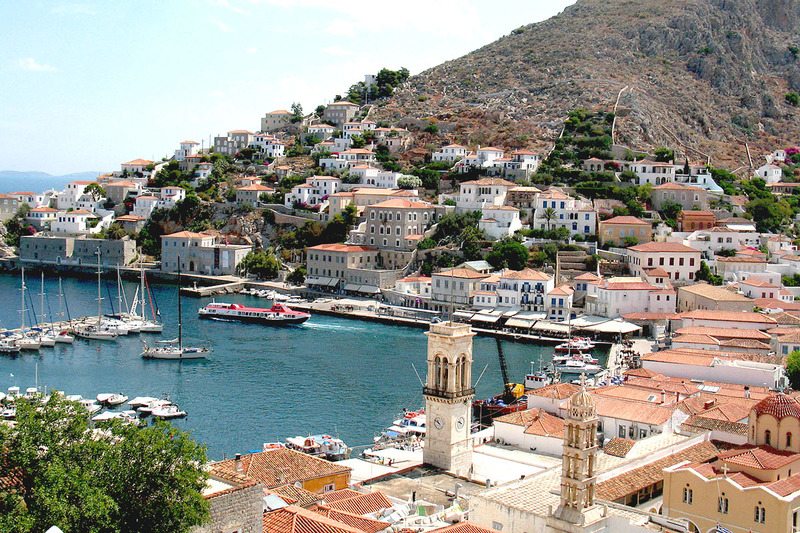 Hydra historically had a leading role during the Greek revolution against the Ottoman Empire when the local wealth was used for the fortification of the island to include several cannons still standing proudly at the harbour and the use of their vessels as warships. Some of the most imposing buildings are also the Museum of Historical Archives and the Merchant Marine Academy. There are also many churches and monasteries well worth the walk up the winding cobblestone paths. Traditionally a favorite place with artists, the island boasts a large number of galleries. 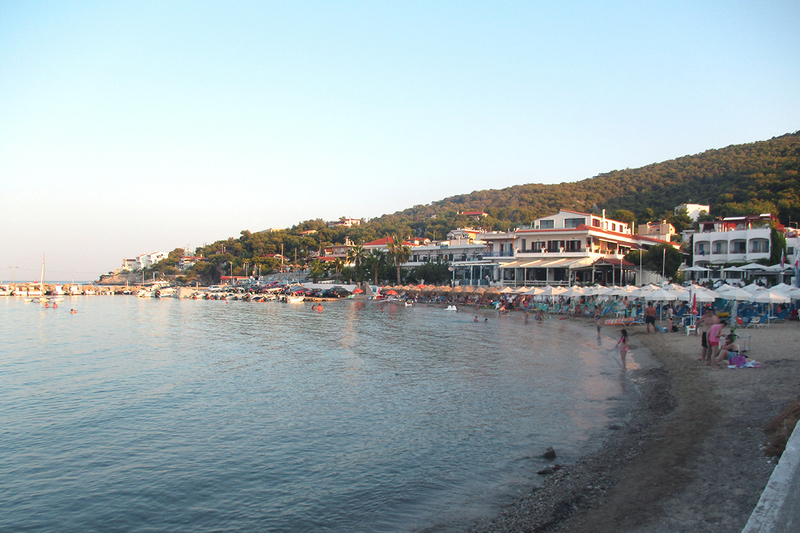 In addition to unique scenery, crystal clear waters, beaches, pine grooves, solitude and a quiet backcountry, visitors can enjoy a wide variety of sea sports, as well as an exciting night life at the various bars, restaurants and taverns concentrated in Hydra town. 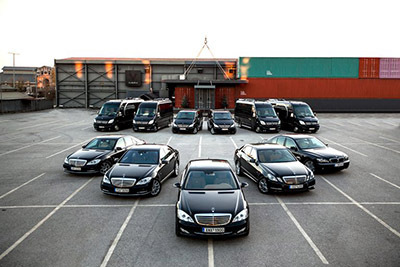 The island can easily be reached from the port of Piraeus by daily ferries or hydrofoils. 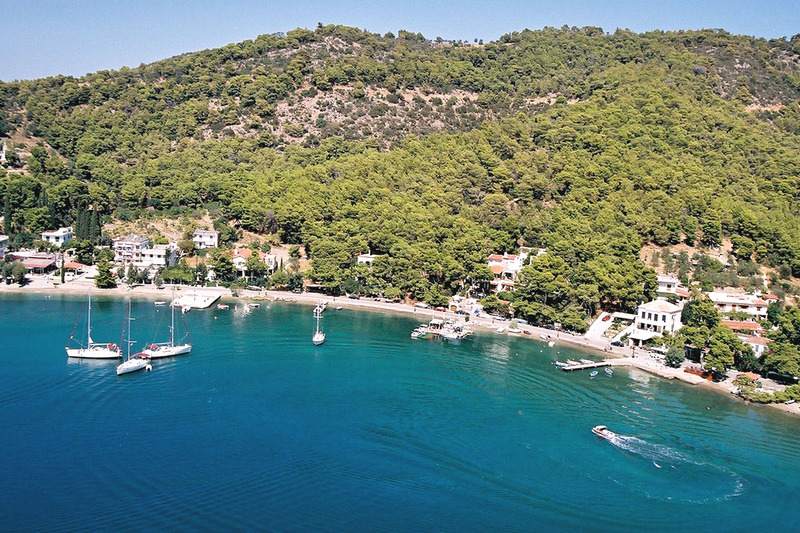 Poros is located off the coast of Galatas on the eastern Peloponnesian coastline of Argolis, just a 45-minute hydrofoil ride from the port of Piraeus. Ancient Greeks considered Poros to be the favourite island of Poseidon, which explains the ruins of the 6th century BC temple dedicated to the sea god. Poros has its share of churches and monasteries. The capital city of Poros is amphitheatrically built with two storey whitewashed houses and neoclassical buildings with a wonderful clock tower standing at the hill top as the landmark of the island. Other than a wonderful harbor with numerous hotels cafes and restaurants the town also offers for interesting visits at the Archaeological Museum, the beautiful Public Library and Villa Galini, former habitat of famous personalities such as Henri Miller. Its proximity to Piraeus, its small shaded, calm beaches and lush vegetation, have made Poros a favourite base with travellers who want to enjoy Athens sightseeing without having to put up with the hustle and bustle of the busy Greek capital. 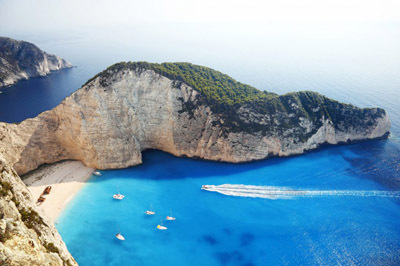 It offers easy access to many sites in the Peloponnese and has frequent hydrofoil and ferryboat connections with the Aegean islands. 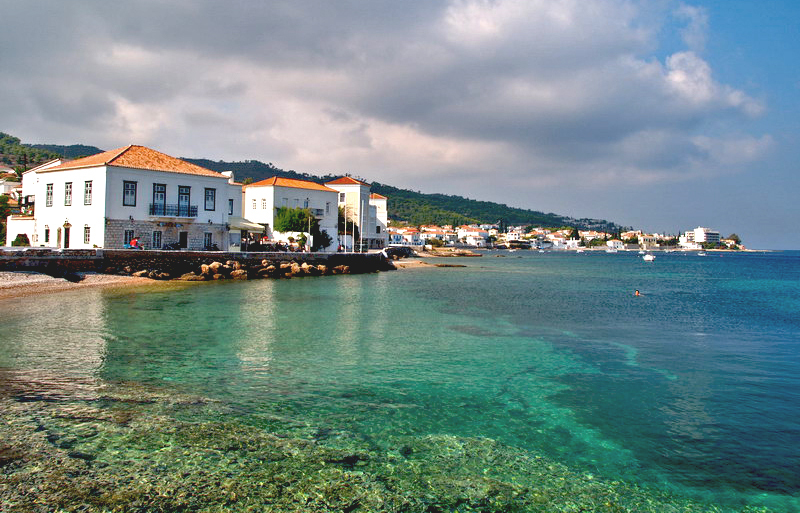 Aegina is located a mere 17.5 nautical miles from the port of Piraeus, only an hour ferry ride. Famous nowadays for its pistachio orchards, in antiquity the island was a formidable maritime power and a blooming commercial market. This is where the first Greek coins were minted. 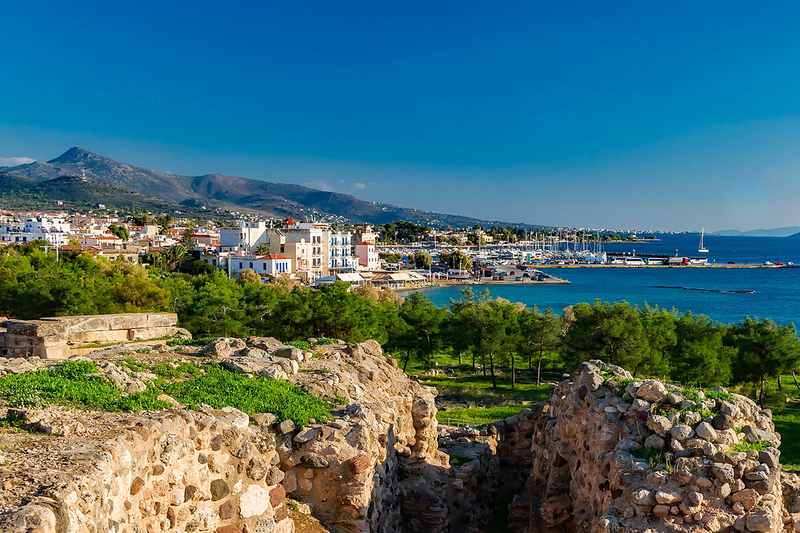 Aegina Town is a lively port with splendid neo-classical buildings, a popular weekend retreat with Athenians, complete with modern facilities for cruise boats and yachts. The traditional village of Perdika with the small islet of Moni right opposite the village that can be reached through small local boats is a must destination of the island. The crowning jewel of Aegina is the magnificent 5th century temple of Athena Aphea, a well-preserved example of Doric architecture, located on the north-eastern part of the island, 15 kilometres from Aegina town. In addition to antiquities and ruins, the island has many sandy beaches and picturesque fishing villages back-dropped by a beautiful varied landscape. There is daily and frequent transportation to and from the port of Piraeus by ferryboat and hydrofoil. 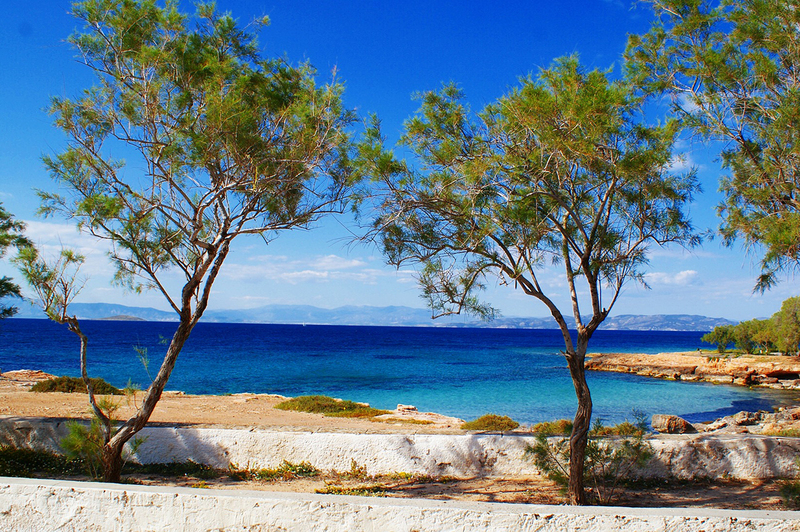 Agistri, the smallest inhabited island in the Argosaronic group, is situated to the west of the port of Aegina, a 30-minute ferry ride from Aegina Town and one hour from Piraeus. Archaeology finds evidence that the isle was inhabited 2,500 years ago. Ideal for enjoying nature, solitude and relaxing pursuits, this pine-covered island has four small settlements, each with a sprinkling of tavernas serving excellent local delicacies, a few shops and small hotels. Nightlife is pretty low-key with a couple of discos and a handful of bars. Green and still unspoilt, with lots of first-rate beaches and secluded coves, Agistri offers the antidote to the stress of city life. There are direct ferry connections from the port of Piraeus. Salamina, the closest island from the Piraeus port, is considered the symbol of Hellenic heroism. In 480 BC, the allied Greek fleet confronted and decisively defeated the numerically superior Persians in a fierce naval battle in the straits of Salamina. The largest of the Argosaronikos group, Salamina bloomed during the Byzantine era to be later threatened by Venetian conquerors and pirates. There is a large number of colourful restaurants on the island serving fish and local delicacies, as well as nightclubs, bars and discos. 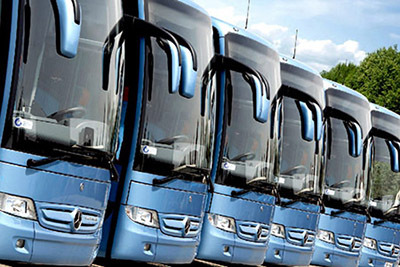 Salamina enjoys frequent shuttle service from nearby Piraeus; it has good roads and a good network of bus and taxi services. Located at the foot of the Peloponnese, between the Ionian and Aegean Seas, Kythera although being one of the seven Ionian Islands, due to its location, it belongs administratively to Attica and maintains its very own identity and character. A refuge of untainted natural beauty featuring astonishing deserted beaches and traditional life, it is the ideal destination for quiet and relaxing holidays, without ruling out a good chance for exciting nightlife. 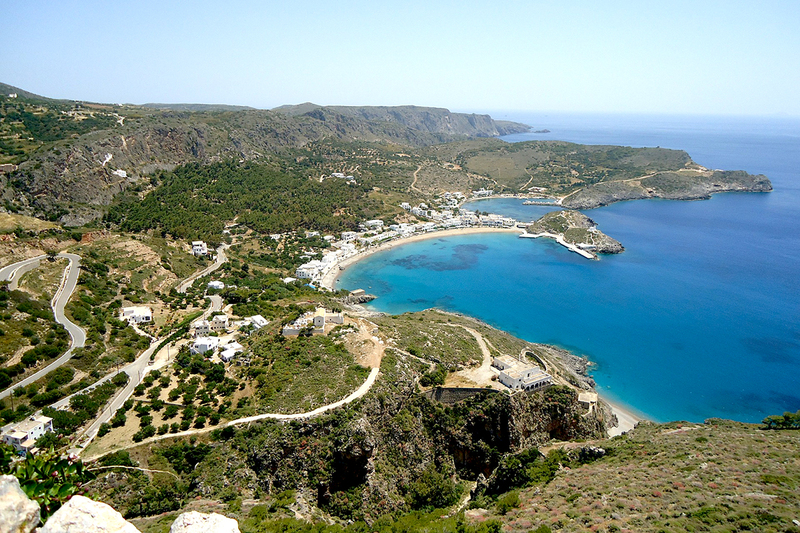 The head-village of Hora is built on a high hill overlooking the southern tip of the island. Dominated by a Venetian 12th century castle, a cluster of white and blue houses peacefully co-exist with buildings of the English and Venetian periods, all of them composing an enchanting landscape. Like all Greek islands, Kythera has its share of churches and monasteries, some of them dating back to the 10th century. There is daily and frequent transportation to and from the port of Piraeus by ferryboat and hydrofoil. 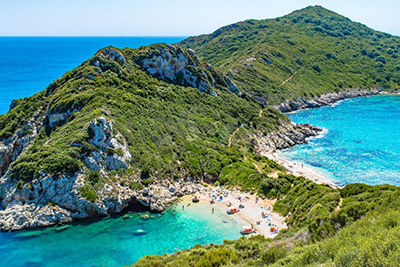 Lying 22 nautical miles south of Kythera and 18 miles north of Crete, Antikythera is in a location that controls the passage from the Aegean the open sea of the western Mediterranean, which explains the popularity it enjoyed with yesteryear’s pirates. 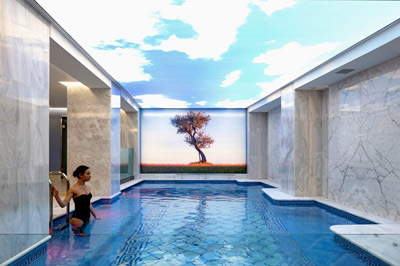 Today, it is popular with holiday makers that seek serenity, privacy and a true escape into the basic joys of life. 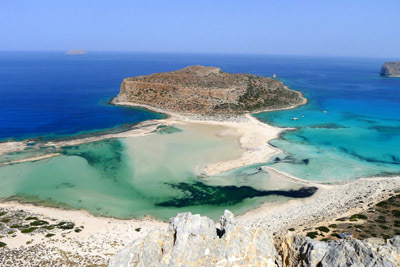 This tiny island of 45 permanent residents has been settled since the late Neolithic period and the early Bronze Age, 4000-3000 BC, while the ancient walled city, the Hellenistic “Kastro” in the north of the island still survives in good condition. Above all, the fact that raised global awareness about Antikythera is the discovery of an ancient shipwreck that included aparti from several bronze objects, the famous Antikythera mechanism which is considered to be the oldest known analogue computer ever made. The two traditional taverns in Potamos, the island’s only settlement, serve delicious dishes, primarily fresh fish and good local wine. 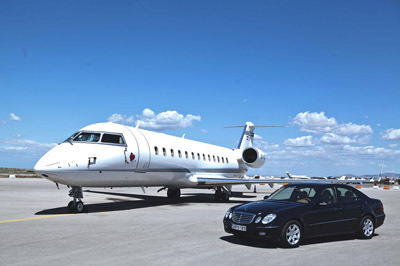 The island has a heliport and can easily be reached by boat from Piraeus, Peloponnese or Crete. Methana is a picturesque volcanic resort-peninsula located on the eastern board of the Peloponnese southwest of Piraeus. Popular for its mineral springs that were known since the 3rd century AD, Methana has an outstanding mild climate allowing for both winter and summer vacations. 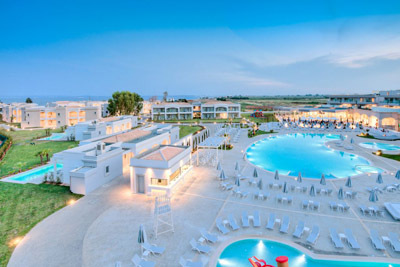 It has a good hospitality infrastructure, featuring hotels, pensions, restaurants, traditional tavernas and friendly service. 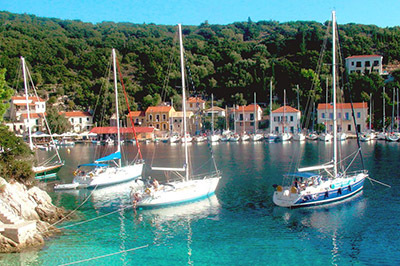 Visitors can swim in crystal-clear waters at Nissaki, Limniona, Aghios Nicholaos, Vathy and Aghios Georgios, while yacht docking facilities are available at a well functioning marina. 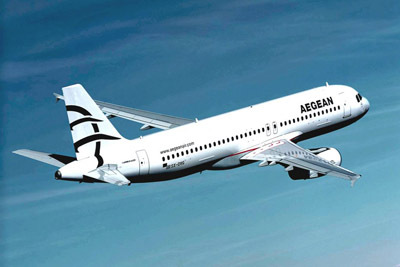 Methana can be easily reached by ferry from Piraeus or by land from Athens. Located southwest of Athens and 10km west of the huge lemon grove of Lemonodassos (Lemon Forest), the village of Trizina (commonly known as Damala) sprawls itself up the mountainside. Still evident just outside the village centre are the remains of the city state of Troezan, the mythical birthplace of the hero Thesseus. On the ruined site below the isolated acropolis hill with its Frankish tower, are the remains of a number of temples, a palace and Byzantine chapels.